Cincon designs and manufactures 3W - 60W DC/DC converters with industry standard and pin-out. Features are high efficiency, high operating temperature and wide input range. 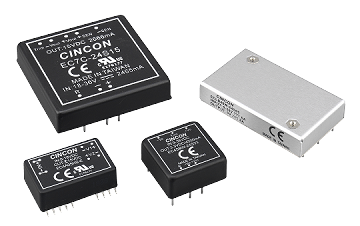 Cincon also provides non-isolation and high isolation DC/DC converters for variety of applications.